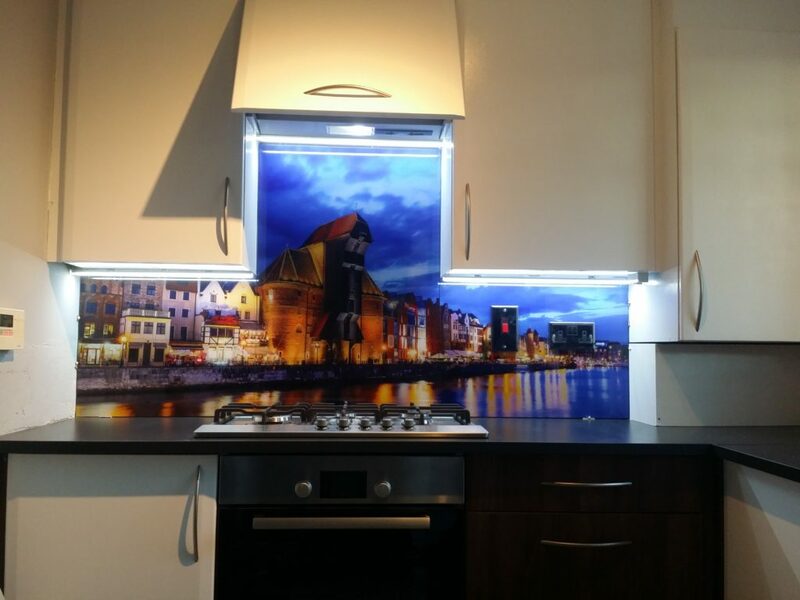 There are many companies on the market that offer and install glass panels. Unfortunately, not all of them are really recommendable. 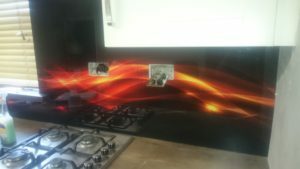 We have repeatedly encountered bad reviews about the quality of panels in our homes, which resulted from the bad experiences of the people who shared these opinions. In our work we often improve the “work” already performed for our customers – and often unfortunately we clutch our head in disbelief. What to look for when choosing a contractor to avoid problems? Print – not a sticker! Only printing directly on the glass, will high quality machine design for it, will guarantee the longevity of the graphics made on the glass panel. Although, we have often encountered that instead of printing, the competition offers … stickers. After few weeks or months, this sticker will rip and peel off, leaving our room in a deplorable state. And disassembling the panels and reprinting is obviously an extra, unnecessary expense, mess and lost time. The print must be cured with special UV lamps. Thanks to that, even after several years, it does not fade, preserving beautiful and vibrant colors. Customers often do not know about this, and the problem shows not long after the assembly. When? It all depends on the level of exposure the panel to the sun. Normally, noticeable deterioration in the appearance of graphics can be seen after few months. In our country, no one has to explain the problem of moisture/mould, which leads to the development of fungus and moulds at a very high level, which forces us to buy expensive specifications for their removal. Suitable anti-fungal silicones for glass panels, which we use, absolutely eliminate this problem. This is a huge saving and a great advantage comparing to the selection of tiles! It is also important to use suitable adhesive for mounting glass panels. 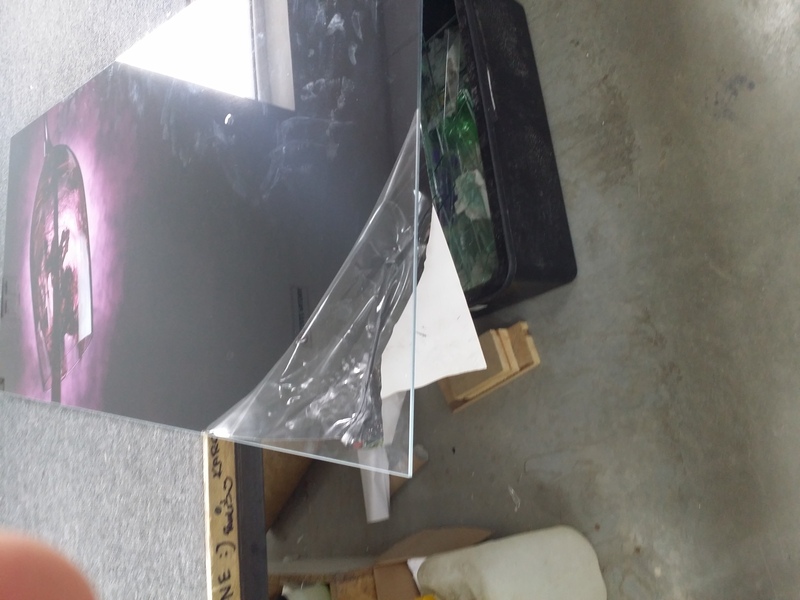 If it is of poor quality, full of chemical additives, shortly after the assembly unaesthetic stains will appear on the glass, which unfortunately cannot be removed. Therefore, when choosing a subcontractor, do not forget to ask about these two issues. Professional work requires the highest quality of equipment – it is obvious to everyone, even to the layman. Unfortunately, top-of-the-line machines are costly and, despite the quality of the products they generate, many companies abandon it. This has a direct impact on the quality of the products offered and the satisfaction of customers with their panels. Choose a company that invests in equipment and treats their work seriously. Proper installation of the glass panel requires experience – it gives you the guarantee that the whole job will go smoothly and without surprises. Unfortunately, often the professionalism of people assembling panels is not high enough. Clients are not rarely surprised when, after talking to the competent sounding owner of the company, a young man arrives, who does not know how to do his job. Unfortunately, the effects can be seen with the naked eye. And for many years. Choose a company with experience – do not be fooled! Before using services of any business, check how many years they are on the market, what are their realizations and what is the opinion of the company on the internet. This gives you the chance to avoid unnecessary nerves and waste of money. What to choose? What to pick? Don’t you have an idea… ?